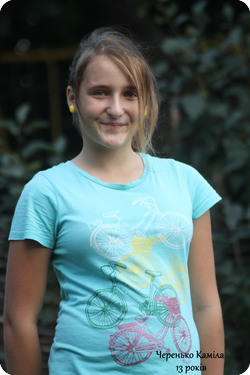 It’s been a while since I’ve posted about a Ukrainian child, so I wanted to feature this new face–thirteen-year-old Kamila. There isn’t very much information listed on Kamila’s profile, but it’s clear that she loves to perform and create. Please pray with me for the provision of a loving family to care for and support Kamila! Kamila has a fun and creative personality. She loves to sing, sew, design clothes, and participate in theatre. Kamila longs for a loving family. Could you pray that she is welcomed into a forever family? At sixteen years old, Valera is at a pivotal point in his life. According to his profile, he plans to attend college over the summer! Pray for a loving family who will be willing to adopt an older child and support him as he enters the next stage in his life’s journey. Valera is a very quiet boy. He likes to be outside playing soccer and other sports. He is open with his emotions and is very concerned about his future. He will attend college this summer and would love a forever family to be there and support him through this journey. Please pray that a family will adopt him and be that loving support! Nadia is a Ukrainian orphan brought to our attention by Lizzie. (You can find her Compassion blog here.) Lizzie is advocating for Nadia, and we asked her to share Nadia’s story here. When I was asked to connect an orphan with a family, I wasn’t sure who to choose. There are so many children waiting for families. ​I was drawn to one girl from the Ukraine. She stood out to me because she was born without eyes and the most recent photo of her was five years old. I would like you to meet Nadia! She just had her picture taken this week! Nadia was born on December 10, 2003. She is blind, has severe intellectual disabilities, and has hydrocephalus. 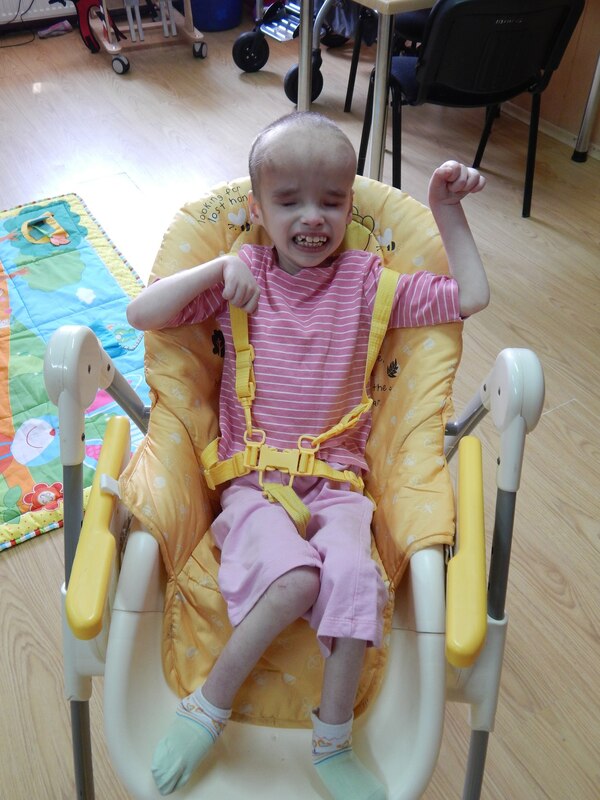 She lives in an Ukrainian orphanage where she is often left alone in a crib. Even though she does not do many things like you or I would, I am sure that she can still feel joy. And what joy it would bring her to have a family! Did you miss Advocating: You Can Do It Too, part 1 and part 2? If so, you might want to go back and read those before reading this last installment of McKennaugh’s story of advocating for three Ukrainian orphans and her encouragement that you can do the same. Surprisingly, most people don’t. They may say, “Oh, what a great thing you’re doing…” but would never lift a finger to help you. She probably never realized how rare and appreciated her willingness to help was. During my struggle to find these children families, however, I realized that I also had to be thankful to those who put me down. Why? Well, when someone told me how great I was for what I was trying to do (which wasn’t true—I was simply doing what we all should do) I felt thankful for their kindness. But it never inspired me. When someone told me I shouldn’t do it, or I should give up, or my cause wasn’t worthy, I was inspired. How come? I jumped up fighting. It put new energy inside me, pushed me harder. I reached further, climbed higher, and became more daring. A fire doesn’t burn unless sticks are thrown at it. The sticks and stones tossed at me made the fire in my heart burn stronger. It forced me to try harder. I knew I couldn’t give up; I couldn’t shirk my duty on others…because I was often the only one. So, if you are advocating and you feel everyone is looking down on you, don’t let it make you want to give up. Let it build you up. That may sound strange. It took me a long time to learn that. It might take you a while, too, but, eventually, you may find that trials are really the strength you search for. I wound up submitting an article to The Rebelution. It was a breakthrough. Finally. Brett Harris was so willing to get the word out. I will always be thankful to him and the Rebelution (therebelution.com). People all over the nation (world?) shared about these boys through their site. Yuri and Viktor received families. However, shortly after deciding to come for him, I learned that Viktor’s family would be unable to proceed due to issues unrelated to his adoption. The family adopting Yuri decided they would come for both boys. During the time that I found these children families, I learned many things, some of them the hard way. The two most important things I learned are: Always pray, always ask for God to guide you to the right people. And never lose your perseverance. Never. This was one of those things I learned the hard way. Do you already know of a child who needs a home? Don’t wait. You could save a life. Speak up. Be the hands and feet all Christians are called to be. God can and will use anyone. After all, he used a 14-year-old who, in the eyes of the world, had no hope of success. God uses the unlikely. And, if you let Him, He will certainly use you. Nobody else can be the change you were created to be. Note: Want to advocate, but don’t know anyone to advocate for? 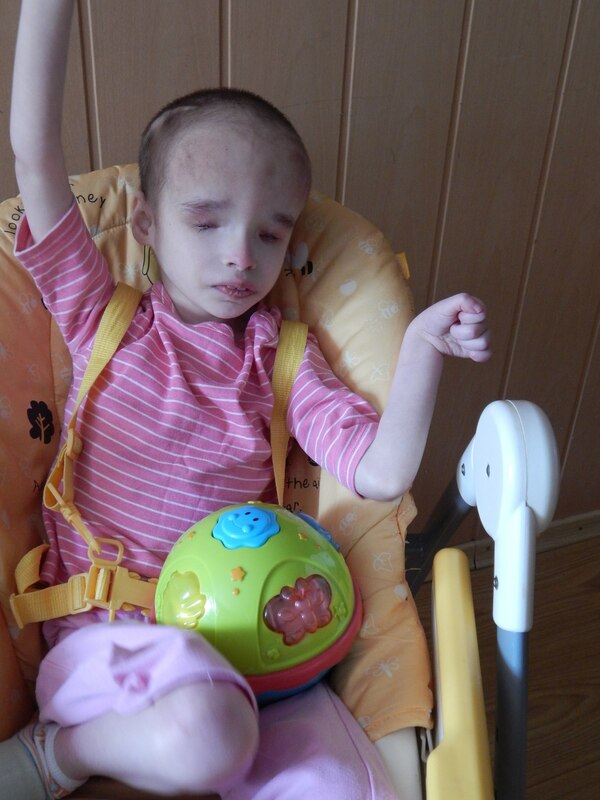 I have a Ukrainian friend who keeps on sending me photos of children who desperately need adopted. Some of them have special needs and some are “normal” children. If you would like to help to find one of them a family you may email me at mckennaugh [at] inbox [dot] com. Did this series of posts give you ideas for how you might advocate for a child? Have you done any advocating in the past? Share your thoughts in the comments! If you missed part one of this series of posts, please take a moment to go back and read Advocating: You Can Do It Too (pt 1). McKennaugh is sharing with us her story of advocating for three children in Ukraine. We left off with Katia’s story making it into the Above Rubies E-zine. I was a determined kid. Once again, I sent a request to Above Rubies. I asked them to place something else about Katia in their next e-zine. This time it was a poem. To make a long story short, Katia’s adoptive parents saw that poem. They contacted me. I copied the medical record. I sent it to them. They read it. They came. To Ukraine. To Katia. By this time, I was 15. She was 7. She didn’t know I changed her life. She didn’t know she had changed mine. How? She showed me that anybody—even backwoods girls who hardly knew a soul—could make a difference. I wasn’t done trying. Yuri and Viktor, two other disabled children I had met in Ukraine, needed homes, too. Somewhere along the way here, I had become a columnist for Homeschooling Teen e-zine. I published an article there about Yuri and Viktor. I was contacted by a lady who said they would adopt Yuri. I was thrilled. The next few events made me slightly wary that something wasn’t quite right, though. We kept in regular contact for a while, then I didn’t hear from them for a couple months. I sent them an email asking how everything was going. They said they had run into problems with US income requirements and would not be able to adopt Yuri. A sent another article into Homeschooling Teen. Yuri and Viktor remained without a family. For a time, I lost my perseverance. Yuri and Viktor waited in their cribs. Waited for me to speak up for them. Stay tuned for the final installment of this article. Do you think you could do what McKennaugh did? Would you find the possibility exciting or scary? Or both? In the six months that TIO has been up and running, several people have stood out as youth who are really enthusiastic about TIOs vision. One of those people is McKennaugh Kelley. I contacted her to ask her to guest post after reading a guest post she did on The Rebelution. She wrote Loving Katia part one and part two. The story of how a teenager could find a family for an orphan captivated me, so when she contacted me about advocating for Miroslav, I asked her to do a how-to on advocating for orphans. The article turned out quite long, so it’s going to be a series. I hope you are inspired. 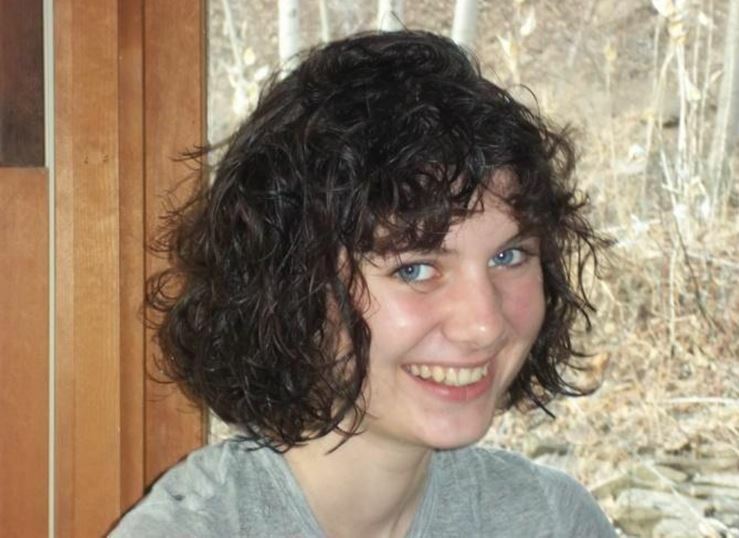 Take a 14-year-old girl who is homeschooled in the backwoods of Pennsylvania. She spends her free time climbing trees, swimming, hiking, and writing. She enjoys heralding in spring mornings before the birds, embarking on all things strange and adventurous, and will do almost anything to make someone laugh. Add her to a Ukrainian orphanage five thousand miles away, tear her heart out, give it to three little special needs kids, and send her back home. She doesn’t know anyone interesting in adopting disabled children a world away, but she doesn’t care. Putting clumsy fingers to a keyboard, she decides that she will do everything she can to bring to these children the love she knows they wait for. It wasn’t the perfect recipe for success. Hi, I’m the strange 14-year-old slightly grown up. I’m turning 18. I spent three months in Ukraine with my family, seven weeks of which was spent at an orphanage. Three hours a day, every day. I had fallen into a place that I wouldn’t have believed existed a short year and a half before. I had cold water tossed onto my happy childhood. I was suddenly awake, older. These kids had had that awakening the day they were born. They received no happy childhood. Fingers, staggering about the computer keys. The keys ought to have been crooked—I had typed this little girl’s plight so many times! Writing up her medical record alone took more time than I would care to admit, as I fumbled through spelling terms that I didn’t know the meanings of. If the list of diagnoses failed to make people understand Katia’s condition, the words “fifteen pounds and six years old” put it in a pretty shocking perspective. After that, I didn’t have to try quite as hard to explain what Katia’s life had been like. I started out advocating for her by blogging on my previously existing website. I got some people to pass my posts around, and tell her plight to people I wouldn’t have otherwise reached. I didn’t have a huge following, so the responses were few. I did have one very special friend who was a huge help and gave me so much encouragement. She loved Katia deeply, though she had only met her through my photos. This woman and I exchanged emails frequently, updating each other on any news about Katia. She basically turned her blog into a home for Katia’s story and photos. She spoke at conventions and handed out fliers about this little girl. On the days that I felt I would never find Katia a family, she was there backing me up, telling me that we could do it. She prayed for, loved and genuinely cared for this child halfway around the world. It is so helpful to have a friend to fall back on. A friend who will help you fight for a cause that you both know is worthy. I called up the editor of a magazine that I read and loved, Above Rubies. It’s full of stories centered around family, adoption, birthing, mommyhood, and natural living. It goes out to thousands and thousands of people. Getting an article in their actual magazine would be difficult, but getting something in their e-zine was slightly more possible. I talked with the editor who told me that there are so many thousands of children like Katia who need help—she was simply another case. I responded that there, indeed, are thousands of children who live in terrible situations. ButI had met Katia, I had seen her struggling for each breath, and I knew there was only one of her. And we had to let her know she was loved. Katia got her story in the e-zine. Have questions or comments for McKennaugh (or me)? Leave a comment. And stay tuned for part two! Miroslav was brought to our attention by site reader McKennaugh. Miroslav’s profile describes him as cheerful and creative, but I’ll let McKennaugh introduce him to you below. 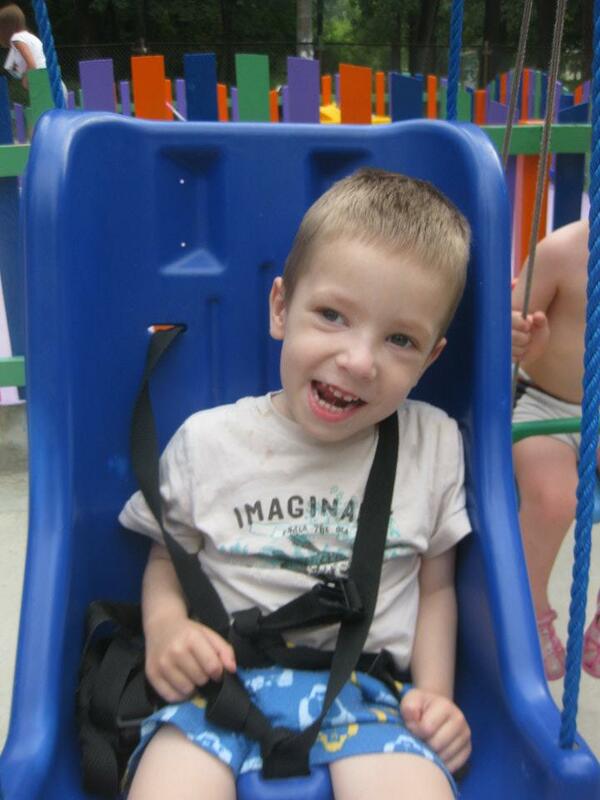 Miroslav is five years old and he has cerebral palsy. 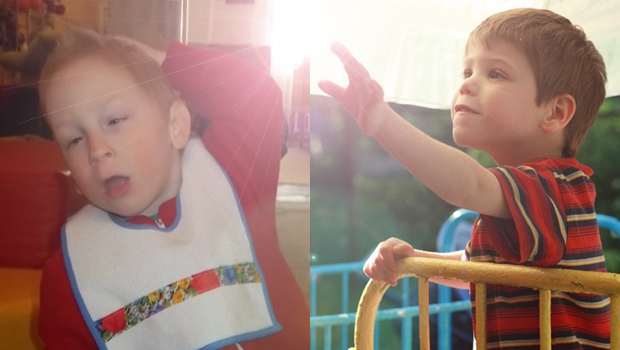 Before he was 2, he lived with his family, but then they left him in the orphanage, where I met him. I got to meet his biological mother, too. She said she was going to leave him at the orphanage for a year where he could get therapies for his cerebral palsy and “good care.” However, we knew he was not receiving any therapy or care. We prayed that his mom would take him back sooner, because we knew a year in that place could destroy a child. Sadly, over a year after I had came back to the US, I found a photo of him online. He was still at the orphanage. His mother had never brought him home. I just received word that Miroslav has become available for adoption. He desperately needs a family. He is so, so sweet. We called him “angel boy.” He had the most innocent, forgiving, loving personality. I don’t know if I have ever met anyone that seemed to have such a pure spirit about them. I can’t even explain it. I am hoping that we can get some people to start sharing his story so he has a chance of getting adopted. Ukraine is having a very hard time right now, and Russia has taken over Crimea. Adoptions in that region have shut down. Miroslav does not reside in Crimea, but there’s no way of telling if time is running out for him, too. McKennaugh wrote the guest posts Loving Katia (pt 1) and Loving Katia (pt 2). If you haven’t read that story yet, I encourage you to do so. It’s amazing. McKennaugh’s love and determination made an incredible difference in Katia’s life. Now McKennaugh is asking us to help her share Miroslav’s story in the hopes that he’ll find a miracle of his own. 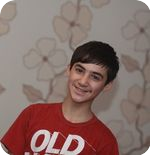 Olexandr is a teenage boy who enjoys athletic activities. Although Olexandr is currently living with a foster family, he is still waiting for a family who can love and care for him permanently. Pray that, even during the turmoil that is happening in the Ukraine, God will prepare a family to care for this teenager. 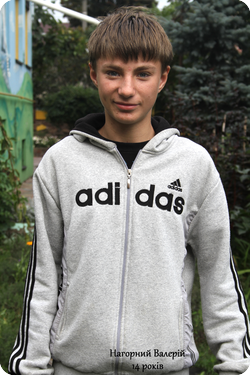 Olexandr is a communicative and kind 14-year-old boy who plays soccer on a local team. He loves to play checkers, ride bikes and roller skate. Please pray that Olexandr will be adopted into a forever family in his home country of Ukraine. He is currently living with a foster family.